A beachfront setting puts some oomph into your event. 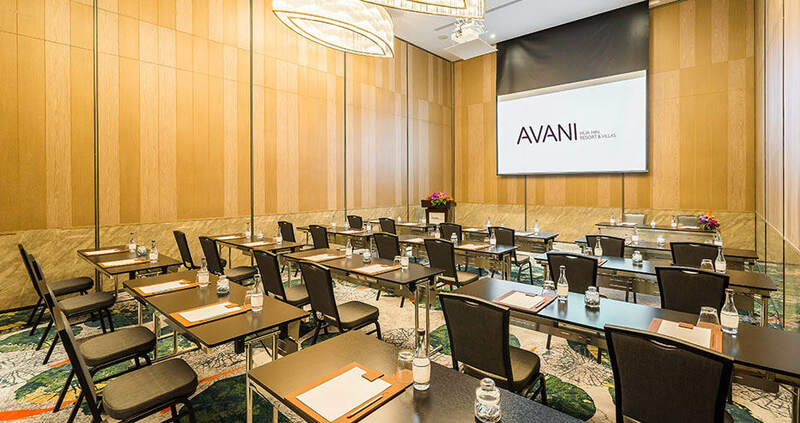 AVANI Hua Hin offers the largest ballroom in town, as well as two acres of landscaped gardens to mingle in, and a terrace overlooking the ocean perfect for soirées. Board meetings for 12. Cocktails for 800. Our team arranges it all with fantastic precision to detail and timeliness. Host glamorous launches, formal conferences and intimate gatherings in highly customisable spaces. 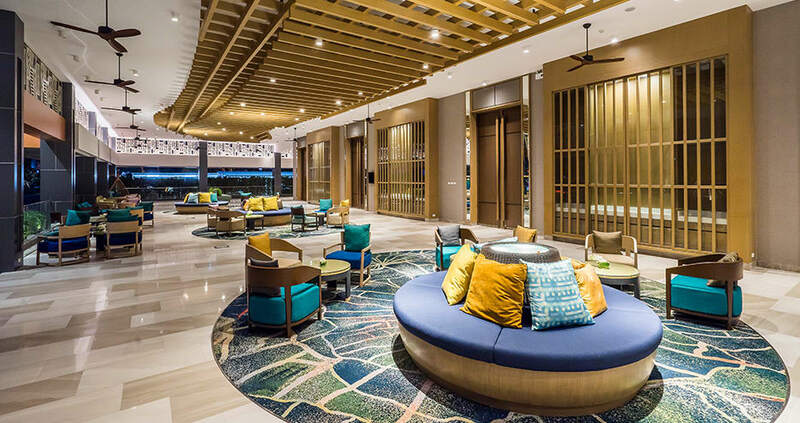 Choose from swanky indoor spaces bathed in natural light, and elegant al fresco settings on paved terraces or lush lawns. High ceilings and contemporary chandeliers define 900 sqm of versatile space. Technology includes state-of-the-art sound, lighting and communications systems. A section of the ballroom with its own access points and AV systems can be set up in a range of layouts for up to 250 participants. A slightly smaller section of the ballroom with its own pre-function space, access points and AV systems can be set up in a range of layouts for up to 220 participants. Meeting rooms can be divided or combined, with separate access points and AV systems making the space suitable for up to 80 participants. A large airy foyer sets the scene for cocktails for up to 600. Sprawling gardens play host to exhibitions, banquets and cocktails, with space for up to 800 guests. An intimate space in a private villa compound, ideal for sophisticated gatherings for up to 80 participants. The crème de la crème of event spaces, complete with sweeping ocean views and space for up to 950 guests.